This flush mount will update your home with its eye-catching design. Featuring a brushed nickel finish this fixture will accommodate a variety of dicor styles. With its easy installation and low upkeep requirements, this flush mount will not disappoint. A fashionable brushed nickel finish combines flawlessly with alabaster shades, making this Sea Gull Lighting flush mount sleek and sophisticated, while the energy saving bulbs make it practical. The 60 watt bulbs give off the ideal amount of light for any indoor application. If you are looking for a bold, new age accent for your home look no further. 3-Light Brushed Nickel Flush Mount - 8 inch This flush mount will update your home with its eye-catching design. 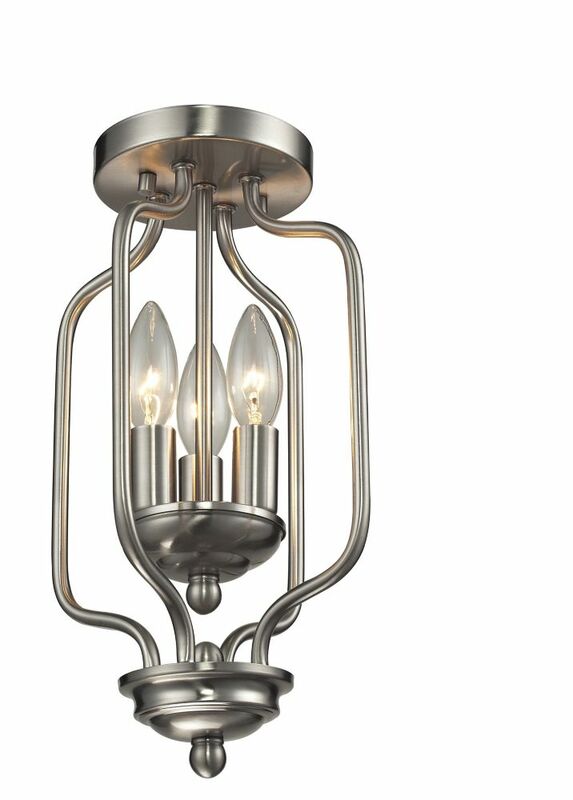 Featuring a brushed nickel finish this fixture will accommodate a variety of dicor styles. With its easy installation and low upkeep requirements, this flush mount will not disappoint.